• If you’re going to be drinking, have an alternative form of transportation available. Get a designated driver lined up. Install the Uber app on your phone so you can get a ride home when you need it. Have someone you can call to come pick you up if your ride falls through. • If you intend to drive anyway, make sure that you know your limits. There are apps and websites that will help you determine what your blood alcohol content will be given your height, weight and the amount and type of alcohol you’re drinking. You can also buy a BAC device that allows you to test yourself, but there’s some dispute about how accurate these actually are. While distracted driving doesn’t take as many lives as DUI, the death toll is still pretty grim. In 2015, 3,477 people lost their lives on U.S. roads due to distracted driving. • If you’re hungry and absolutely can’t wait until you reach your destination, pull into a fast food stop or a convenience store, buy your food or beverage and consume it in the parking lot. • Find a station on your radio and stick to it; taking your eyes off the road for just a few seconds can cause you to miss something that’s happening in the traffic ahead, like the car in front of you suddenly slamming on its brakes, or a child darting out into your lane. • If you need to read or adjust your navigation system or consult a map, pull over. • Put down the phone (or the tablet). Don’t watch videos or check out a website or read a document for your presentation at work. Don’t talk or text. While many states allow the hands-free use of cell phones, safety experts argue that this doesn’t prevent accidents occurring because you may have your mind on your conversation instead of on the road. • And speaking of conversations—avoid arguments or heart-to-heart talks with your spouse, with your kids and with anyone else who’s riding along as a passenger. When you’re talking to someone, you usually want to look at their face to gauge their reaction to something you’ve said. That means taking your eyes off what’s happening as you drive. • Also…no shaving, hair brushing, applying makeup or other grooming activities. Defensive driving courses are offered online and in classrooms throughout California. There are two benefits for completing such courses. One, you’ll get a refresher on the rules of the road plus an update on any new laws or safety requirements for your vehicle. Second, some insurers give you a discount for completing a defensive driving course. Check with your insurance agent to see which programs, if any, will qualify you for a reduction. If it’s been a few years since you took your driver’s education instruction and you’ve been following what you learned there, you may want to make some updates on the way you set up your vehicle. Start by readjusting your side mirrors. While driving instructors taught many of us that we should be able to see some of our own vehicle in the mirror, the latest thinking is that you want to position the side mirrors outward so that the side mirrors just overlap the rearview mirror inside the cabin. If you do it right, as you’re losing sight of a vehicle in the rearview mirror, you should be able to see it coming into view in your left side or right-side mirror. When’s the last time you checked the air pressure in your tires? AAA warns that under-inflated tires can increase braking distances and make your car less responsive to steering, which means you could have more trouble maneuvering out of an unsafe situation. Do you share a vehicle with another driver who’s much taller (or shorter) than you? Make sure the seat, the steering wheel and the rearview and side mirrors are optimized for you before you pull out into traffic. And when you drive, keep your hands at 10 and 2 on the steering wheel; that’s where safety experts have determined that you have the most control. If you love tech, and don’t own a late-model vehicle, you may get a chance to purchase a few new pieces of equipment that you can add retroactively to help in your quest to become a safer driver. You can usually get such equipment added to your car by an electronics store or your dealer, or, if you’re more adventurous (and know what you’re doing) try installing it as a DIY project. • You can add visual and auditory warning systems, informed by radar or cameras, that will alert you if you’re following too closely to the vehicle in front of you or drifting into another lane. • Blind spot monitoring is a relatively new technology. When you flip on your turn lane signal, it will let you know if there are any cars that you can’t see in your side or rearview mirrors. Drowsy driving killed almost 850 drivers in 2014, so there are several gadgets and apps that can help keep you awake when you’re behind the wheel. • With a sensor that you wear on your finger, Stopsleep measures your levels of awareness and concentration with eight skin-level sensors. It alerts you as soon as it senses a drop in your awareness levels. • The Anti-Sleep Pilot (ASP) will prompt you to periodically perform certain tests to measure how awake you are. If you display slow reaction times, it will give you audio and visual signals that you need to get off the road. • There are also several apps for iPhones and Android phones that promise to help you stay awake while you’re driving or at least let you know when you’re displaying signs of fatigue when you’re behind the wheel. 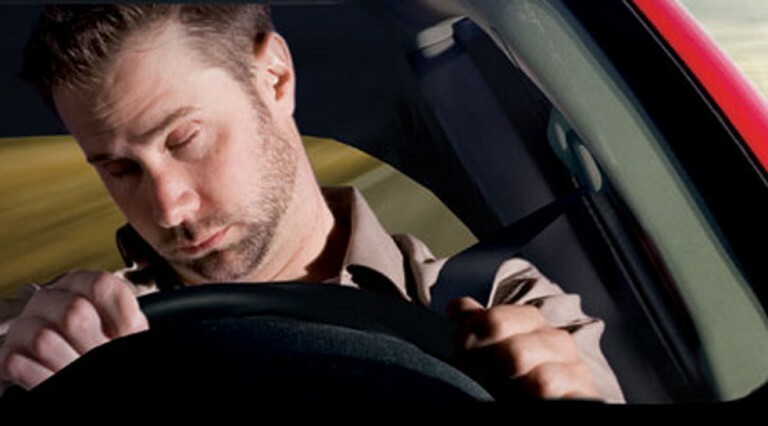 Drowsy driving can occur on short commutes or on long drives. To ensure that you stay awake, avoid drinking alcohol (even a small amount will enhance drowsiness); take frequent breaks, at least once every two hours while you’re on the road; and pull over and take a short nap (20 minutes or so) if you find that you just can’t stay awake. You can also load up on the caffeine—but not so much that you’ll be driving aggressively or taking unnecessary risks.